Yoko-Ukemi, from standing position, migi en hidari. Hop and migi en hidari Yoko-Ukemi. Zempo-Kaiten and Ushiro-Ukemi over Uke. In movement migi en hidari. 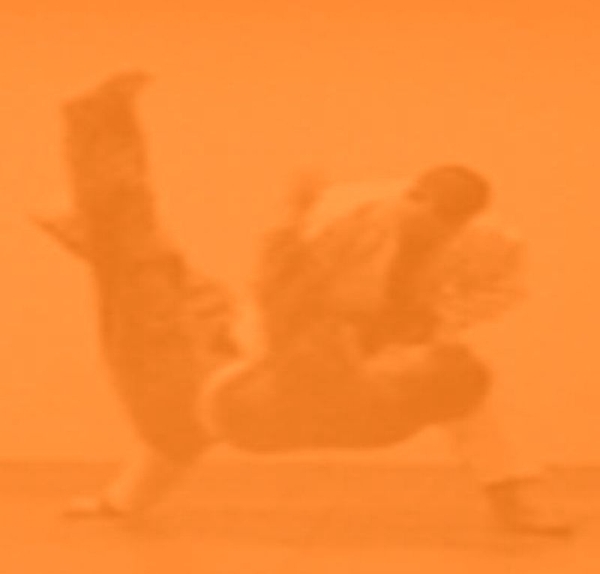 Ne-waza start from a throwing technique. Tori on his back with Uke between the knees.